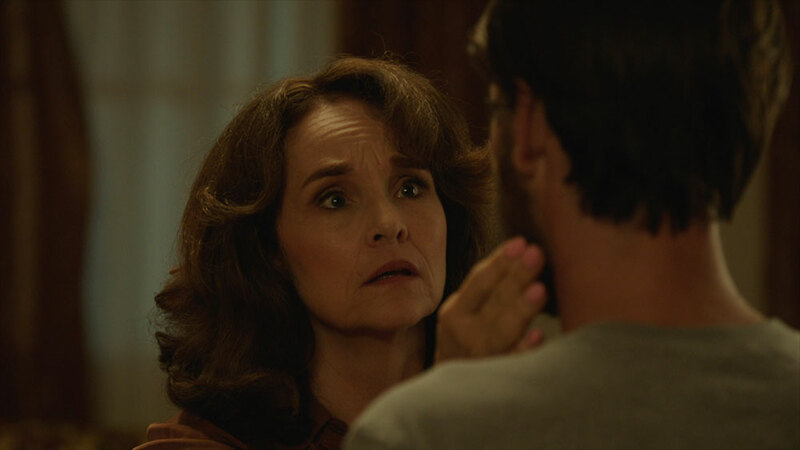 We talk true crime, the paranormal, Amityville, women in horror and more with “The Amityville Murders” star and iconic 80s actress Diane Franklin. 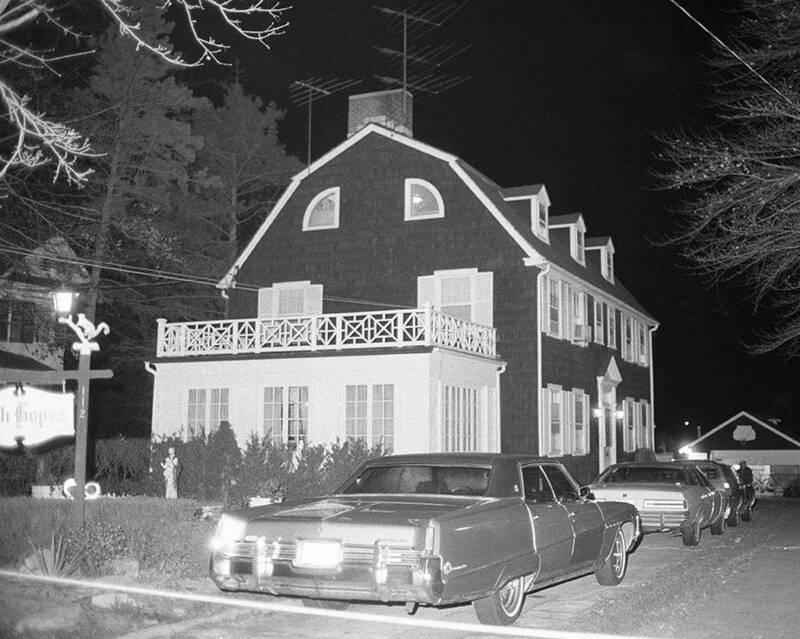 I have been fascinated by the infamous Amityville house on Ocean Ave since the film that started it all, The Amityville Horror, came out back in 1979. There have been over 20 films dedicated to this story, and I recently watched the newest addition to the franchise, The Amityville Murders. Writer/Director Daniel Farrands’ version of the DeFeo family murders is an interesting, well-done and mostly factual film. You can read my review here on Morbidly Beautiful! 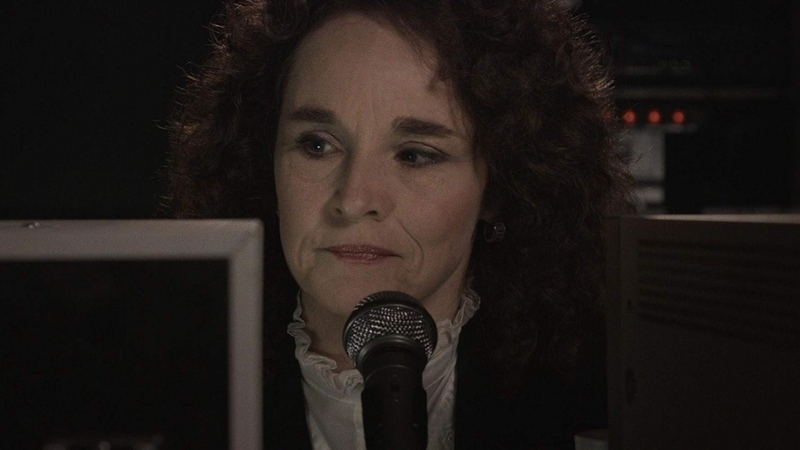 The best part for me was getting to talk to actress Diane Franklin. 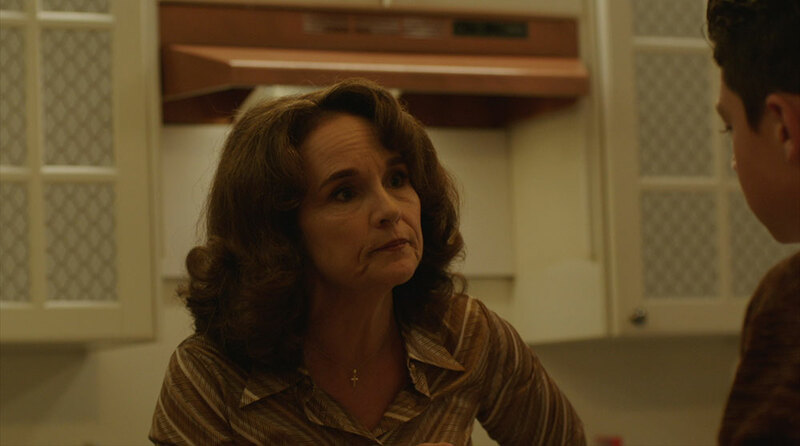 In The Amityville Murders, she plays the mother Louise DeFeo. 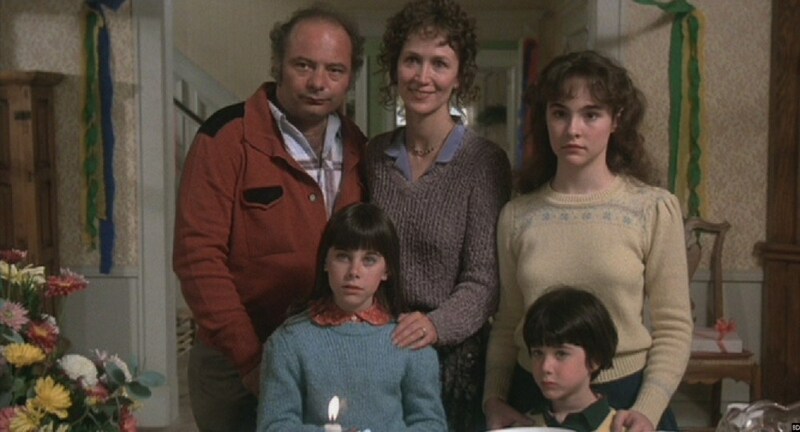 But no stranger to the story, she played the daughter Dawn in Amityville II: The Possession 37 years ago. Diane is a wonderful actress with many familiar film credits under her belt that fans will recognize, and it was wonderful to chat with her! I hope you enjoy her interview as much as I did. Los Angeles Zombie Girl: Hi Diane, thanks for talking to me! 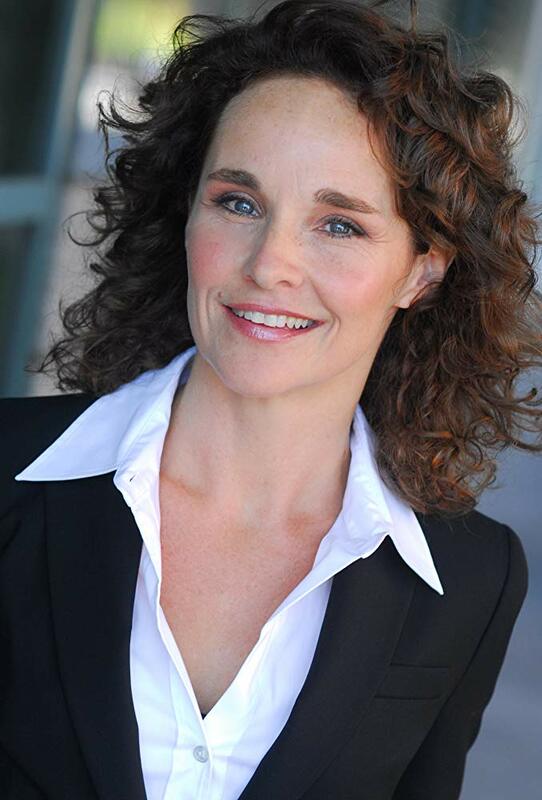 Diane Franklin: Heh Vicki I am so glad to hear a woman interviewer, (laughs) everybody else has been a man! LAZG: Well then, that’s perfect since February is Women in Horror Month! DF: That’s right! OK then let’s go! LAZG: Tell me a little bit about The Amityville Murders film! DF: The Amityville Murders is a remake. There’s been maybe 20 films made about Amityville. This one is based on the real facts of what happened in the house. Daniel Farrands also did the documentary prior to this, so he knows a lot about it. 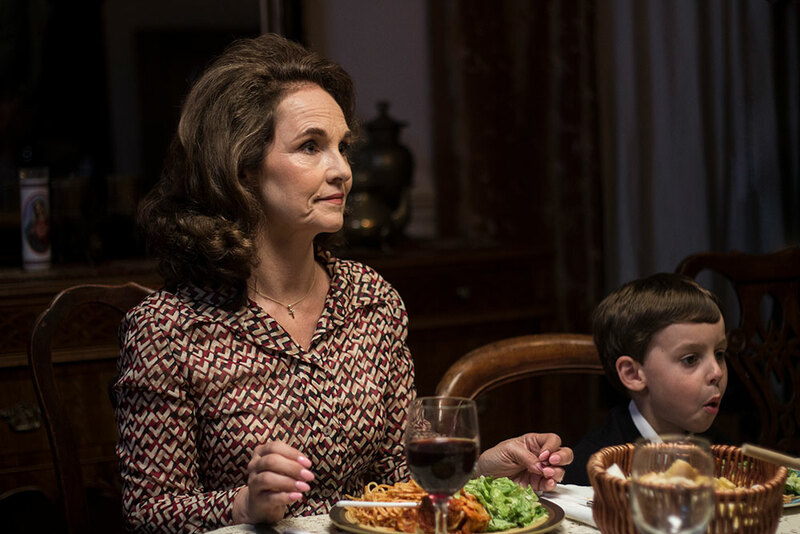 The film is about the DeFeos and the abusive situation in the patriarchal upper-class family. The DeFeo family was raised in Long Island, New York. I was raised in Long Island too, a couple of towns down, and I was maybe 10 or 11 when this really happened. The dad was the abuser, and the mom was kind of a protective person. The son Butch was getting into drugs, he couldn’t get away from the stressful family situation and he eventually ends up shooting his entire family. In 1974 he murdered every member of his family even including the littlest siblings! He went from room to room killing everyone. Believe me, I wish this incident had not really happened, but being offered the role, I felt taking it was the most respect I could pay. I mean when something like this happens you don’t want anybody being murdered, so my feeling, as a woman in horror, is to show how these things can really happen. It can happen from abuse. That can put you in a very bad place. I really believe some people can feel it so much in their heart that it makes them do bad things. I believe that when a house is haunted, that you can get creepy feelings from a place, so I had to trust my instinct. I have very positive energy, and I can go into a room and deal with negative energy. I think people who experience paranormal feelings, they are legit, and they have to live with it, but don’t always handle it well. LAZG: You were in the second Amityville film, Amityville II: The Possession. How did it feel to play different characters in the same movie universe? DF: So yes, I was in Amityville II: The Possession. There was The Amityville Horror, and then there was the second one where I played the daughter, Dawn. I was 20 years old when I did that. I looked like I was about 14 or 15. (laughs) That film half took place in the house, with the other half taking place outside of the house, where there was sort of an exorcism. I think at the time Damiano (Damiani) didn’t want to pay the rights for that, so it was done separately. I was told it was based on the true story of the DeFeo family murders and the abuse, even though the names were changed. I was pretty innocent then. I didn’t try to research too much because I wanted to stay pure in the moment and vulnerable, so I would be open and not have any scary feelings during the filming. So cool story! 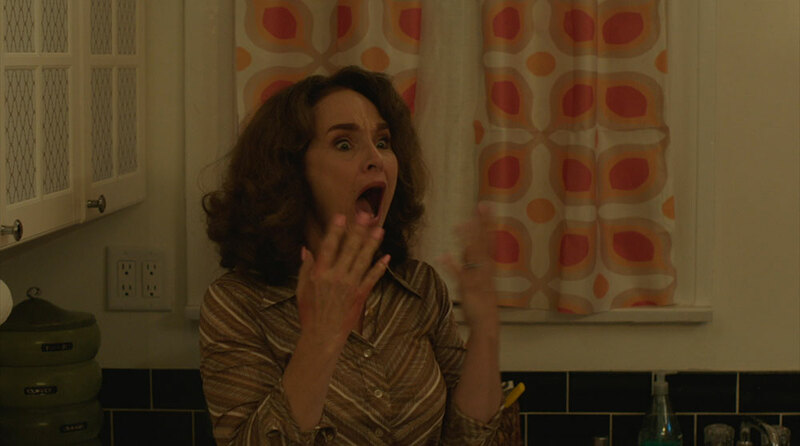 Cut to 37 years later, I am now offered the role of Louise DeFeo in The Amityville Murders. She is the real woman who was murdered by the son in 1974. I was offered the role by Daniel Farrands who wrote and directed it. I was at the New Beverly Cinema owned by Quentin Tarantino, doing a Q&A and Daniel showed up. He saw me up there and came up with the idea of me being in the film playing the mother, but I didn’t know it at the time. Months later when he wound up connecting with me and offered me the role of Louise, I burst into tears. What a cool idea! I never thought that after playing the daughter, I could now come from the perspective of the mother, let alone play someone who is a real person, which is something I’ve always wanted to do. I have to say, when I did Amityville as a kid, I didn’t allow myself to take in that negative energy, but it was harder and scarier to do it now today as an adult, because I played the mother and I allowed myself to learn more and know more. Also, as a mom you are more vulnerable, you have your finger on the pulse of the family. LAZG: Did anything paranormal or creepy happen during filming? DF: I had problems sleeping during the film. I did have some weird things happen to me. And strange dreams. I was more aware of allowing that energy to come in, but I dealt with it much better because I’m an adult. Though I think it’s important to understand that when you do a film, when you are acting in it, you get affected. When I was a kid and I finished Amityville II, even though I didn’t take it in cognitively, it affected me emotionally and I got a streak of grey hair. Since this most recent film, I can’t sleep on my stomach. It’s funny how many creepy things happened during the filming. I know for me and from other actress friends like Amanda Wyss and Heather Langenkamp, that when we work on something like this, you’re very intense and you’re very in the role, in the zone, and it does take wear and tear on you physically. Oh, there was also a time during shooting that I was sitting at the craft table and all of a sudden, these giant pods came out of nowhere and fell into my lap. These huge things like beetles, flew off my lap out of these pods, and all I can tell you is that I was the only person that it happened to. There was like 5 or 6 of them in my lap, it was covered! It was like the giant flies in the film. It was the weirdest thing. And if I wasn’t prepared for it emotionally, like I told you, for the paranormal thing, I would have freaked out. But because I was, I said OK, this is an Amityville thing, it’s just weird. There’s something that is bringing me back to the time of the flies, except now they were giant flying beetles that I’ve never even seen before in my life. That is something that was truly creepy. When the Blu-ray comes out, you’ll see that I talk about other strange things too! LAZG: Did any of the filming take place at the actual house in Amityville? Would it be better or worse to be in the real house where it happened? DF: When I did Amityville, the first one, we shot the exteriors in Toms River, New Jersey and the interiors in Mexico. But you have to understand that when you do a horror film that the director carries the tone of the film. So, you are recreating a situation, and no matter where you are creating it you still create that tone and that energy. When I did The Amityville Murders, we shot it here in Los Angeles, and again that tone comes up. You are immersed in the story, and you really trust your director and your other actors. The chemistry while playing this family was unbelievable. Paul Ben-Victor who played my husband, was incredibly intense, but we really trusted each other as actors, and he gave an amazing performance. I think we worked beautifully together. The feeling you get from watching us all work together was very organic and very comfortable. And then Burt Young, who played my dad in the first film, he returns in this film as the grandfather, and we had such a touching scene. We love working with each other and being together, and I am so grateful that we have a scene together. I’m so glad that it is on film. LAZG: Have you ever seen the real house in person? DF: No, I’ve never been near the house, and that is another thing, I really want to go and visit there. If anyone would bring me there: I want to go with Ghost Adventures! I really do! I have such pure energy that I think I would do really well with the ghosts. I’m not intimidated by them, and I also think I am open to it. I’m not afraid of it, and I would love to! Maybe if I really got there, I would be afraid, I don’t know. You never know till you get there. It would be a great place to have a museum. LAZG: You have another movie coming out called The Final Interview. The trailer looks really great! I can’t wait to see it. What can you tell me about it? DF: I love this film! The Final Interview is a thriller. It is a film that when you watch it you will not be able to leave your seat. Not a pin drops! This film really relies on listening. I’m not sure the new generation will respond to it, but I hope so. It’s not an old school film per say, but it’s a movie that requires you to think and it is wonderful. Grainger Hines plays my husband. He is a wonderful actor. He was in the movie The Ballad of Buster Scruggs. The Final Interview takes place in the 80s. I play a news reporter, and he is my ex-husband who is sort of a fallen journalist who is now trying to recreate his career. He is interviewing a convict who is on death row for serial murder, played by the wonderful actor Damien Maruscak, who is incredible. I look at it as an art film. It is directed sort of like a play and is going to be at film festivals this year. So just share that if anyone goes to a film festival, please see The Final Interview — it is a wonderful experience. The director is Fred Vogel who has done other horror films as well and is an amazing director. LAZG: February is Women in Horror Month, how involved are you personally? DF: First of all, I belong to the Women in Horror group, and that’s exciting. My birthday is February 11th so I am very excited that February is Women in Horror Month. In addition, it’s amazing that The Amityville Murders is coming out on February 8th on iTunes as well as at a theater near you. I am also proud that my daughter, Olivia DeLaurentis is a filmmaker, and I’m going to be in new her film that she wrote and directed. I get to act in it with her! I have a film on Amazon Prime called Wally got Wasted that you can check out right now. Follow me! There is so much going on! Go Women in Horror! LAZG: Diane, Thank you so much! 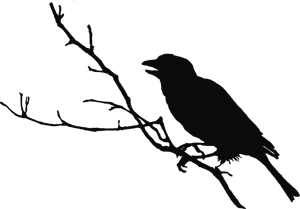 I can’t wait to see what you do next!